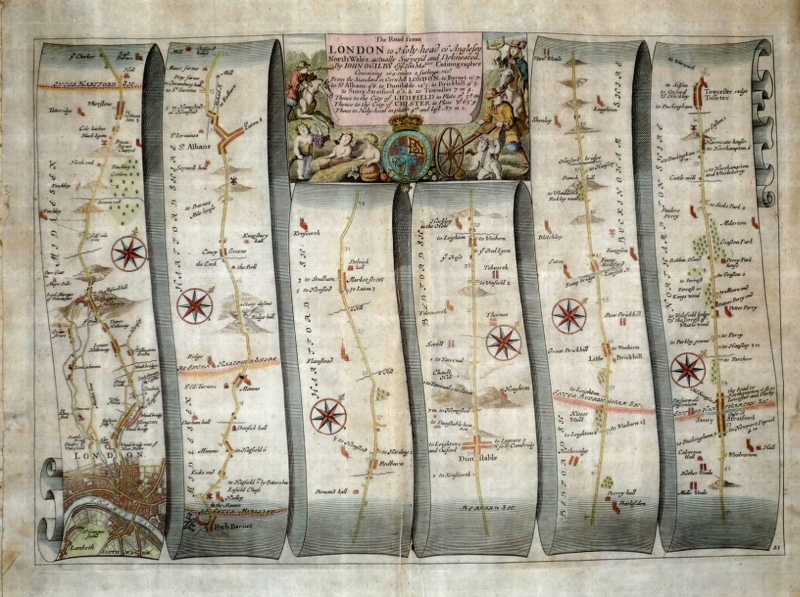 A very attractive 17th century road strip map showing the route from London to Towcester -- via High Barnet, St.Albans, Dunstable, Little Brickhill and Stony Stratford -- which was published in John Ogilby's Britannia (London: 1698, plate 79). 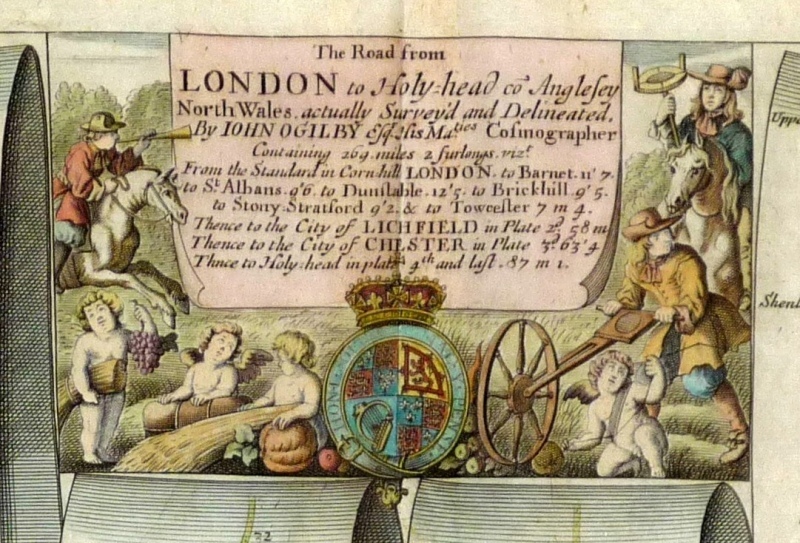 Of additional interest is the illustration in the cartouche of a 'waywiser', the measuring tool used by Ogilby's men for the survey of the roads. 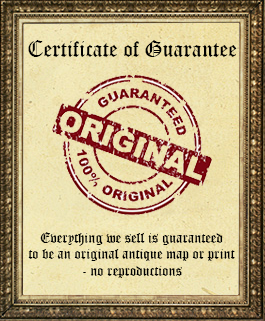 The map is in very good condition with decent margins. There is a "printers' crease" which runs parallel to the centrefold. Click on image for a better view.